Weapons manufacturing by Islamic State in Mosul is anything but improvised, as its factories use standardization, quality control and an efficient supply chain to make thousands of mortars, shells and rockets, an independent UK investigative group said. Although Islamic State’s (IS, formerly ISIS/ISIL) weapons factories still use non-standard materials and chemical explosives, “the degree of organization, quality control, and inventory management, indicates a complex, centrally controlled industrial production system,” Conflict Armament Research (CAR) said in a new report. — CAR (@conflictarm) 14 декабря 2016 г.
Islamic State’s facilities in Mosul were producing weapons according to precise technical guidelines issued by a central authority, the so-called ‘Central Organization for Standardization and Quality Control’, the CAR report said. By introducing strict technical standards, the terrorist group obviously sought to minimize variations among weapons and ammunition. 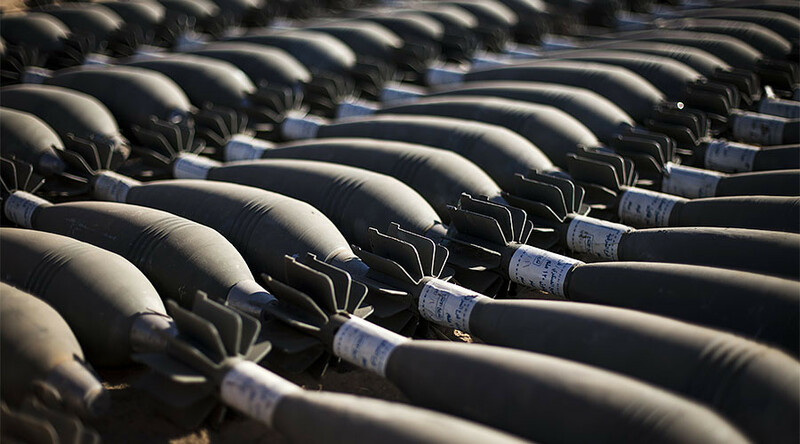 It means that mortar shells produced in one part of IS-controlled territory have the same caliber and can fit mortar tubes made in facilities located elsewhere. IS has adopted standardization practices similar to militaries around the world, which makes the group stand out among other terrorist organizations who use fairly primitive improvised weapons and explosive devices (IEDs). “The production of factory grade packaging is one example, whereby the group has constructed palletized wooden boxes for the long-term storage, and long-range transport, of rockets and mortar rounds,” CAR said. To produce weapons and ammunition on such a large scale, Islamic State militants procured commercial goods in bulk, in particular chemical precursors and fertilizers. The necessary components “had been procured on different dates, in large quantities, and over a long period of time,” the report noted. The group repeatedly procured chemicals from the same supplier and almost exclusively from the Turkish domestic market. Some of them, like potassium nitrate, were reportedly produced by the Belgian company SQM Europe, and sold through the Turkish distributor Doktor Tarsa or the Latvian company Uralchem. “CAR’s findings continuously reinforce evidence that the group operates a major acquisition network in Turkey and has a direct line of supply from Turkey, through Syria, to the Mosul area,” the organization maintained. It is unclear how the terrorist group obtained the technology, but its use poses serious questions. “Unfortunately, I believe, under the Obama administration, I think there has been a great deal of coordination between terrorist forces and the US-led coalition,” Virginia Senator Richard Black told RT on Tuesday. Iraqi troops and the US-led coalition launched a ground offensive on Mosul in mid-October, but recapturing the city has proved difficult. Islamic State has combined fierce resistance with devastating suicide attacks and the use of anti-tank weapons systems against Iraqi armored units, according to various reports from the battlefield.